Founded in 1735, Garrard is one of the longest-serving jewellers in the world and has an illustrious history that includes being appointed the first official Crown Jeweller to the British royal family. Following a number of years of decline, Garrard was acquired by new owners and Portas was asked to work on shaping the brand’s strategy and visual identity. What followed was an intensive period of ‘brand archaeology’ to discover stories from over 300 years of heritage; and a review of ultra high net worth individual consumer behaviour in emerging markets including Russia, India, China, and the Middle East. 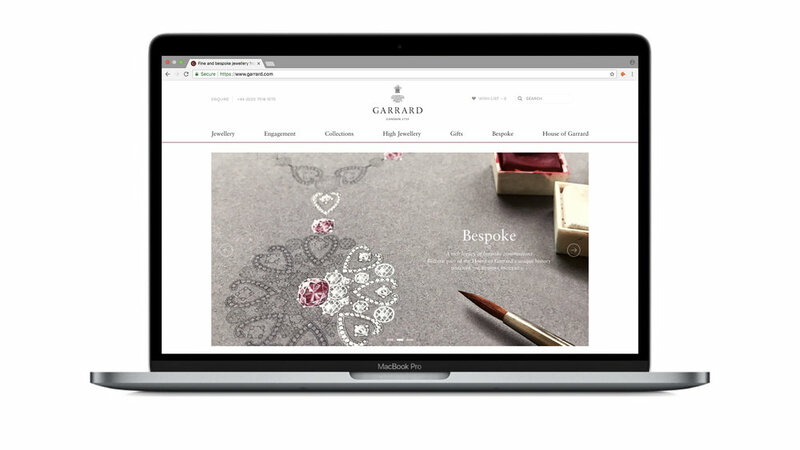 This resulted in a new brand vision for Garrard, informed by its rich heritage but brought up to date, an updated logo and refreshed visual identity, tone of voice, and key marketing messages.